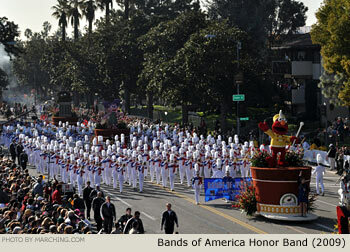 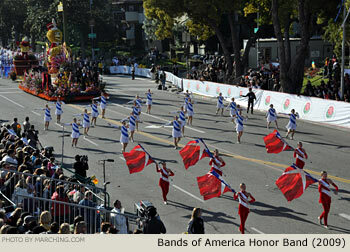 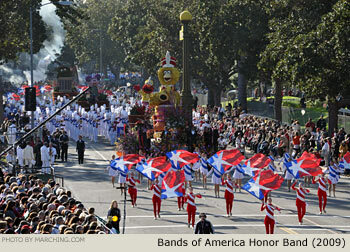 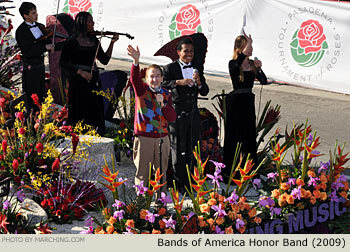 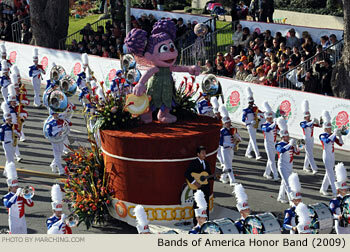 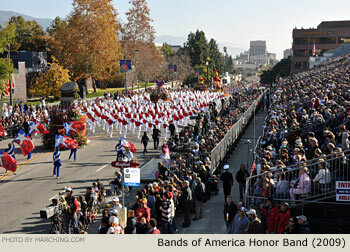 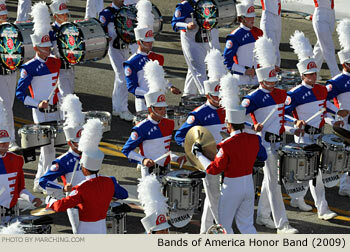 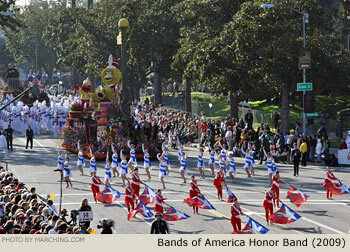 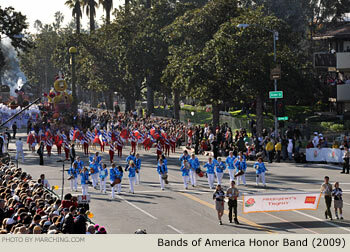 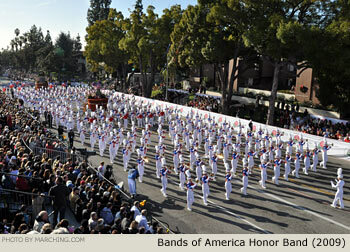 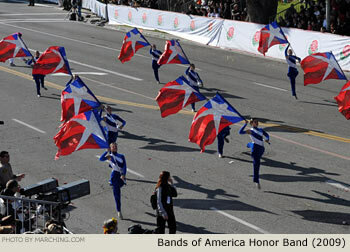 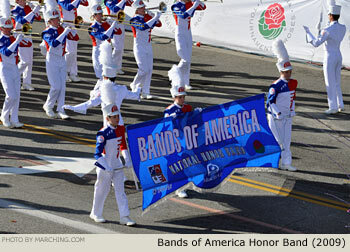 The Bands of America Honor Band made a triumphant return to the Pasadena Tournament of Roses Parade when it performed as part of a crowd-pleasing "mega-unit" focused on the joy of making music. 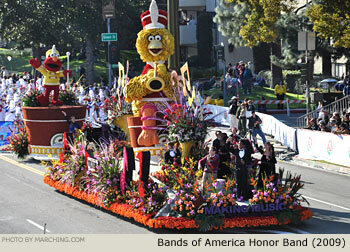 The unit combined the efforts of Music For All, NAMM (the International Music Products Association) and Sesame Workshop, and was awarded the prestigious President's Trophy for Most Effective Floral Use & Presentation. 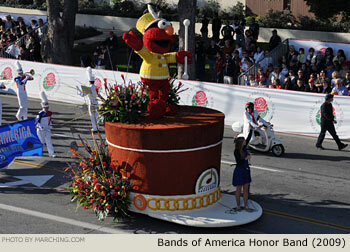 The unit stretched more than a city block, starting with a group of drummers from Remo, followed by dancers, flags, the marching band, and four separate floats featuring Sesame Street characters. 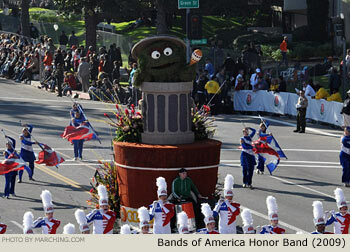 The floats carried vocalists, strings, a jazz combo, a garbage can drummer, and Sesame Street cast member Bob McGrath.